In June, we announced Buyable Pins to let people buy things they want right from Pinterest. These made-for-mobile Pins help you drive incremental sales at no extra cost. Now, we’re excited to bring Buyable Pins to new commerce platforms so more businesses can sell their products on Pinterest. We’re also rolling out new Buyable Pins from Bloomingdale’s, Wayfair, DVF, Steven Alan and thousands of new merchants from our launch partners Demandware and Shopify. In just 3 months, we’ve doubled the number of Buyable Pins—there are now more than 60 million Buyable Pins available on Pinterest! The main part of Buyable Pins is that users buy right inside Pinterest via Apple Pay or the credit card information stored at one’s Pinterest account. This dramatically changes the user experience of buying within the mobile app. A study of Buyable Pins from Shopify merchants showed 2x higher conversion rates compared to other Pins on mobile. 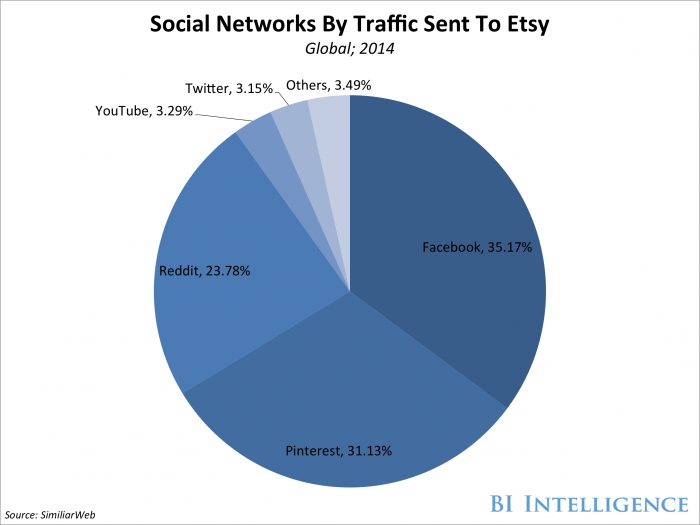 Many merchants are acquiring new customers through Buyable Pins, too. Spool No. 72, an online clothing boutique based in Washington, said 84% of their Buyable Pins customers are new. Buyable Pins are also driving about 7% of all sales for Madesmith, a shop for handmade goods based in Brooklyn. 100% of these sales are coming from new customers. The API, in essence, allows Pinterest to ease into becoming an alternate store front. Pinterest has 100 million monthly active users. Pinterest already has a key tool for commerce: a recommendation engine that serves 1.5 trillion recommendations a year on the platform. Though the company says it has separate engines for ads and non-sponsored content, the technology can be used to show relevant products to people browsing the platform. More significantly, it can surface products they never knew they wanted to buy, something seen as a key Amazon deficiency today. ‘buy buttons’ into its service. Twitter and Google are trying something similar. Even Facebook is testing its own buy feature. It is officially a trend. With its focus on pictures and its information architecture around discoverability and (most important maybe) intent, Pinterest is currently far better positioned to be successful.